Size of the product is of 27 cm (H). This is a decorative wall art item that can be used in the house for an aesthetic appeal. 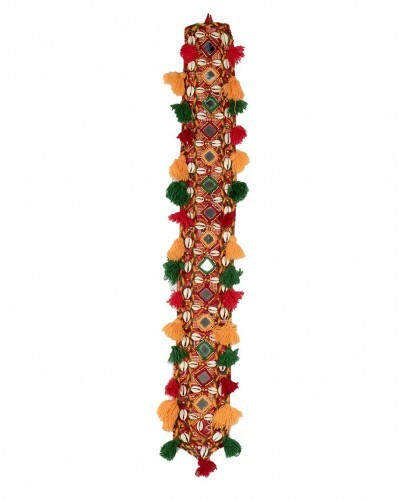 This multi-colour hanging is made of fabric and is studded with shells and mirror work. Resembling the work done in Ahmadabad, Gujarat. This hanging can be a colourful twist to your home.